Matt Schulte first made wine with his dad and older brothers. However, Matt didn't make his first wine independently until the mid 1990's. Thanks to his mom he has a rich family history of gardening. Matt grew up in the truck gardening industry. He sold, hauled, and distributed vegetables during his whole youth. So when it came time to grow grapes on a large scale; he wasn't even a little intimidated. He thought he was going to just grow and sell grapes while leaving himself just enough to make a few bottles of wine for himself and his family. Little did he know that he would never sell a single grape! He realized he wanted to make wine and that he wanted to share that wine with the world. 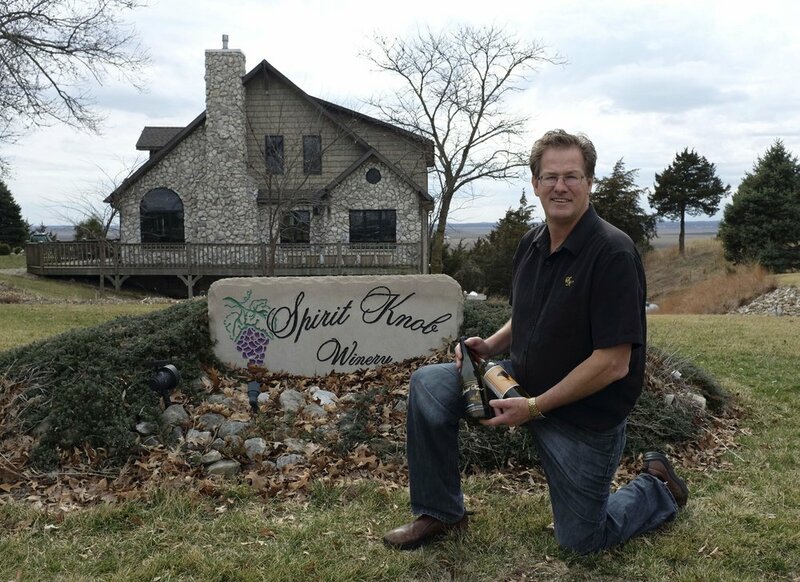 The vineyard originated in 1999 and Spirit Knob Winery began selling wine in 2002. Matt and his wife Karen have never looked back. 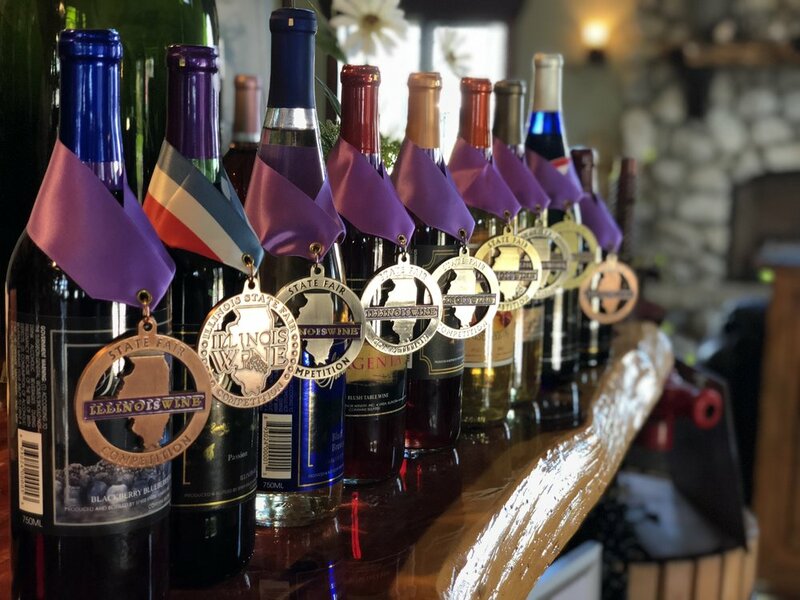 The winery is their passion and that passion has been a source of joy to more people than can possibly be counted. 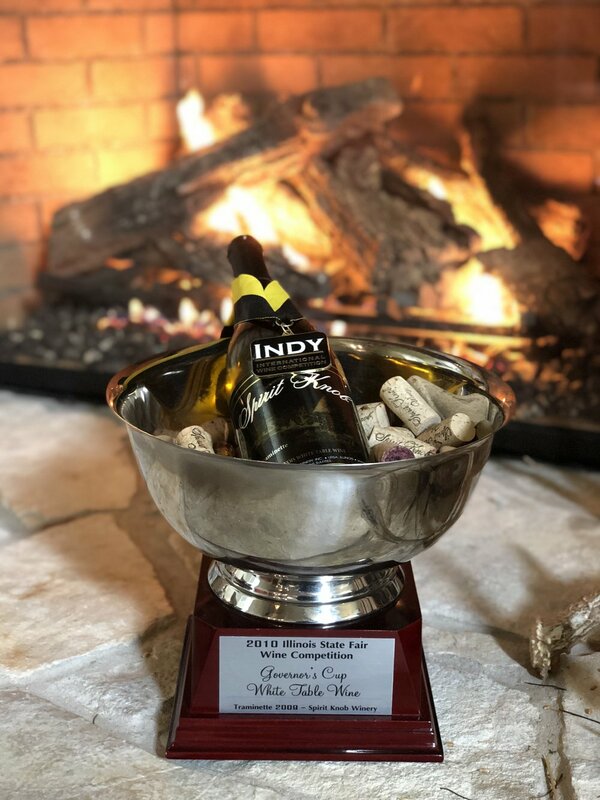 So come visit us, take in a beautiful sunset, listen to some live music, and enjoy some of the greatest wine the midwestern region of the United States has to offer. Our vines are planted and kept fruitless for the first four years. Early in Spring vines are pruned based on size and vigor. Vines are sprayed multiple times during the Spring and Summer to control funguses and bugs. Shoots are thinned and combed to promote sunlight and crop load. Harvest is based on pH acid levels and sugar. This takes place in late September to early October. Our fruit is harvested and crushed based on pH, sugar levels and acid levels. Juice is tested and corrected for any imbalances. Fermentation is started with a cultured yeast designed for each specific wine. Wine is racked multiple times and closely monitored for pH levels as well as sulfer levels. Any off notes are corrected early in the aging process. Depending on the style of wine, wines are filtered and bottled approximately one year later. Last, and certainly not least, we sample the wines.